The Community Center is also home to “Camp OIB” – a fun filled summer camp for children ages 4—10. New daily programs are planned for 2014 including activities each Wednesday designed for the entire family. Children can enjoy arts, crafts, games, story time and much more. CAMP OIB is available on a first come basis to all children ages 4-10. Participants are limited to 35 per day and no advance reservations are allowed. CAMP OIB is located at the Ocean Isle Community Center 44 East First Street, Ocean Isle Beach. Registration for camp is held daily Monday-Thursday beginning at 9:30 AM and ending promptly at 9:50 AM, in order to allow for the fun to begin. Activity participant forms must be completed for all participants each day prior to the start of camp. 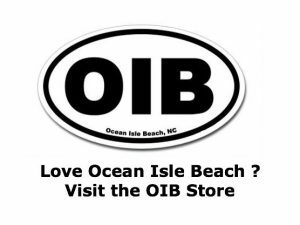 Each summer CAMP OIB begins mid-June and continues thru mid-August. If a heat advisory is issued on any particular day, camp will be cancelled for the safety of all participants. Be sure to check our Government TV Channel 8 for weather cancellations. Camp time is from 9:30 am to 11:30am. Camp activities will not be held on July 4th due to the holiday. All children must be accompanied by an adult during the entire program. A typical program for each day’s activities is as follows:? ?PUPPETS IN PARADISE MONDAY? ?Opening now … It’s a Puppet Show at the NEW OIB Theatre. Dance the Limbo, make your own pinwheel and build sandcastles. And don’t forget to bring your video camera – it will be a great photo op. “DIG AND FLY “ TUESDAY”Come enjoy crafts and story time with Nemo and Baby Sea Turtle. Help Nemo build and race a seashell boat! Make a kite and catch a sea breeze. Don’t forget to bring your camera for an action shot! Activities for the entire family are scheduled each Wednesday including a Power Squadron Safety day, a Walking Scavenger Hunt on the island or “Olympics on the Beach”. Hey Mom – “Look at me” and take a picture! “AHOY MATEY” IT’S PIRATE THURSDAY All hands on deck as we march to the Flag Parade and play the Cannonball Treasure Hunt. Then it’s off to enjoy pirate flag crafts & “Jimmy and Pirate Talk” story time. You never know when Captain Greybeard will pay a visit so be sure to bring your camera!